Download & Install it and click on Browse button. 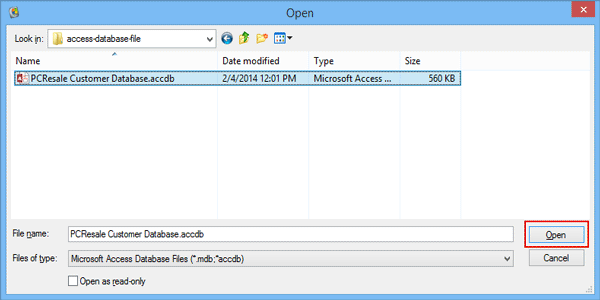 After selecting particular access file Click on Open button. 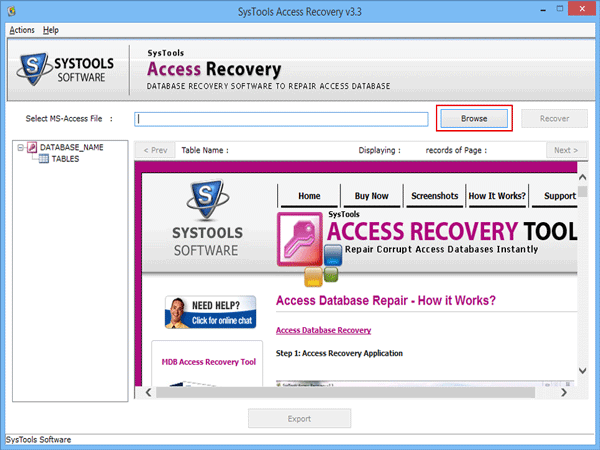 Go to Recover button to start the recovery process. 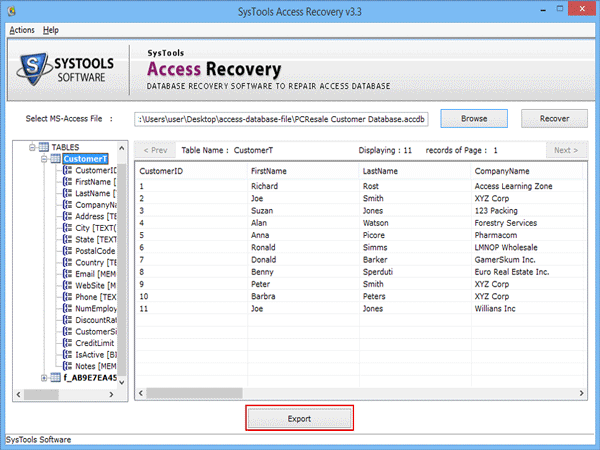 On clicking tool starts recovery process and shows the status. 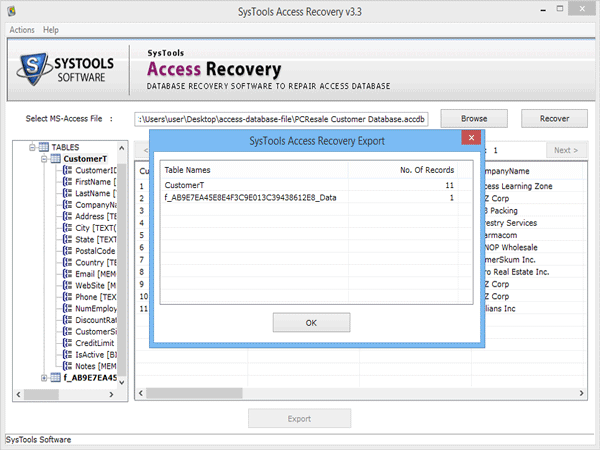 Then It shows the preview of recovered data. 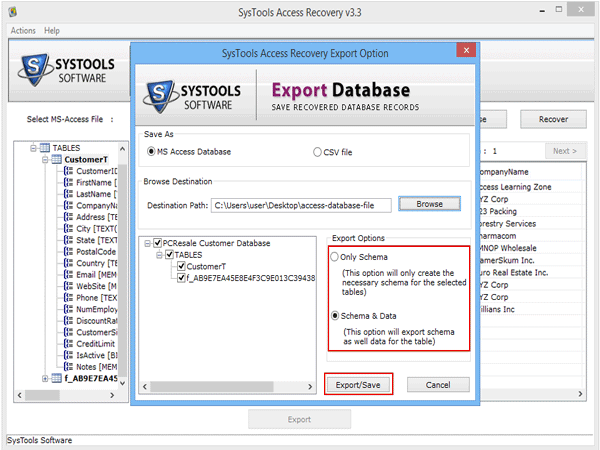 Give destination path or browse it simple to save the recovered data files with schema or schema with data and click on Export option. 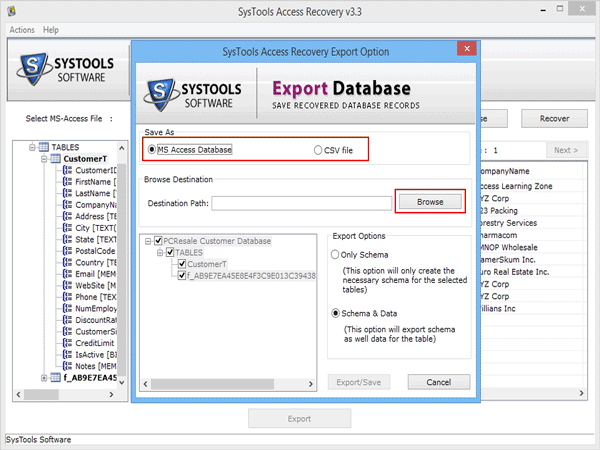 Tool Successfully Export the recovered Access database files.